the ongoing relevance of the work and a discussion of different perspectives on the work. 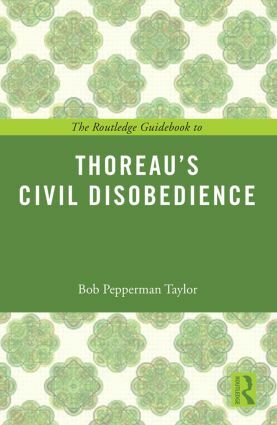 Providing a detailed analysis which closely examines Thoreau’s original work, this is an essential introduction for students of politics, philosophy and history, and all those seeking a full appreciation of this classic work. Bob Pepperman Taylor is based in the Department of Political Science at the University of Vermont.